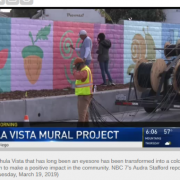 City Council Member Mike Diaz and nearby MAAC Community Charter School reached out to the community and the city to transform a heavily tagged wall into a beautiful mural and tiny city park. The city provided funding through a Community Development Block Grant for the mural, landscaping, walkway, benches and sidewalk. 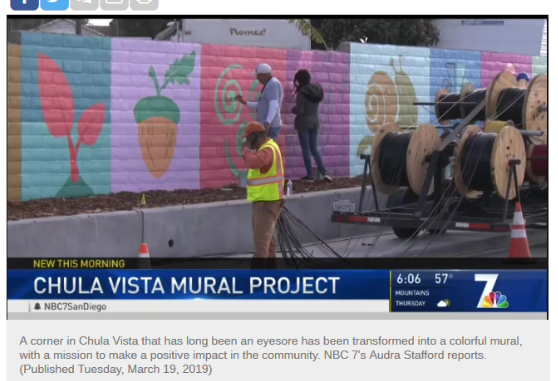 This is a GREAT example of community ownership and a positive solution to a terrible problem.